KIEV, Ukraine -- Ukrainians voted Sunday in local elections that were viewed as the first test of President Viktor Yanukovych's popularity and commitment to democracy since taking office in February. Voters cast ballots for mayors and local councils at 33,000 polling stations across the country amid lengthy queues, arm-long ballot papers containing dozens of candidates, and claims from opposition parties of widespread violations. The main opposition party, led by former Prime Minister Yulia Tymoshenko, said it would challenge the results in several regions. It claimed large-scale falsifications in regions across the country, including unusually high levels of voting in hospitals and by mail. The Party of Regions, which backs the president, said there were minimal problems. Prime Minister Mykola Azarov, who heads the party, said that any irregularities were local and isolated. "The main sensation is that there have been no sensations today," Mr. Azarov said. 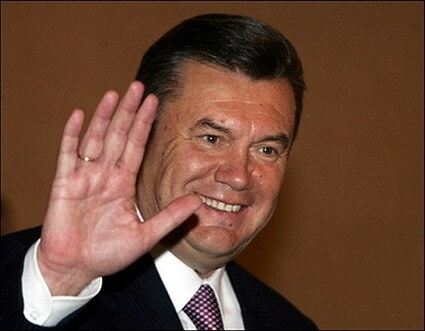 Mr. Yanukovych has been tightening his grip on power. Parliament is controlled by his supporters, and a court ruling in early October increased the authority of the presidency. Critics have accused the president and his supporters of trying to impose authoritarian rule by cracking down on the media, sending security service agents to investigate prodemocracy organizations, and putting pressure on the opposition by arresting former government members on charges of corruption and abuse of office. Mr. Yanukovych managed to make his comeback after years of squabbling between Ms. Tymoshenko and other Orange Revolution leaders hamstrung their government programs. He had been defeated in the previous presidential race, in 2004, after hundreds of thousands of protesters forced the annulment of an allegedly rigged vote that Mr. Yanukovych had won. He lost the revote. "The same kind of falsification has been used as in the presidential campaign in 2004," said Serhiy Vlasenko, a lawmaker from Ms. Tymoshenko's Fatherland party. Opora, a nonpartisan election watchdog that deployed about 1,500 observers across Ukraine, said state officials had pressured some opposition candidates not to stand for election and harassed some of those who remained on the ballot. The group reported scattered irregularities in several regions Sunday, including repeat voting, vote-buying and lost ballot papers. Opinion polls have shown a drop in support for the Party of Regions in recent weeks following government-mandated price increases for household gas. The government has failed to deliver on some of Mr. Yanukovych's campaign promises, such as tax breaks for small businesses. Even so, its candidates are expected to take the largest number of seats in regional and municipal legislatures. An exit poll conducted Sunday by the Ukrainian office of GfK, a global market research firm, said 36.2% of voters across the country cast ballots for Mr. Yanukovych's party, compared with 13.1% for Ms. Tymoshenko's party. The third most popular choice among scores of parties was "against all," which received 7.2%. Official elections results are expected to be announced by Friday.